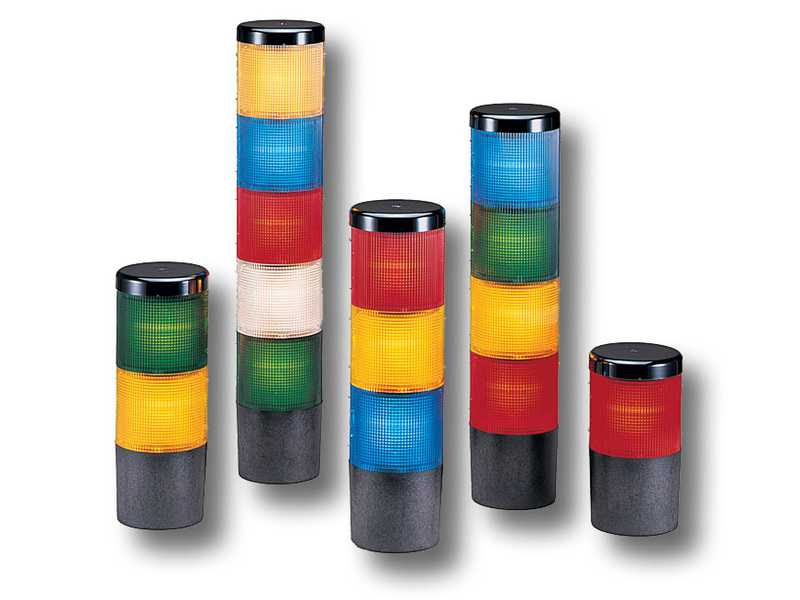 Federal Signal’s Litestak® status indicator may include up to five Light Modules (Model LSL) available in Amber, Blue, Clear, Green and Red; or four light modules plus an optional Sound Module (Models LSS or LSH) to create a dual purpose audible/visual status indicator. The Sound Module always occupies the top position of a Litestak unit. Litestak’s lensing provides a 360° visual signal. Individual light modules may be set to either flash or burn steadily. The flasher is included with the 120VAC LSB model and sold separately for other voltages. Each light module consists of two impact-resistant polycarbonate lens halves that snap apart to provide easy maintenance and interchangeability of colors. Litestak units can be installed on a 3/4-inch NPT pipe mount or surface mounted with the Model LSB Base. If low profile surface mounting is required, Model LSBS is available. All Litestak models should be mounted base down. Litestak is UL and cUL Listed, and CSA Certified for indoor use. Multiple lens colors can communicate machine shutdown, shortage of materials, supervisor attention, etc. Ideal applications for the Litestak include assembly lines, instrument panels, workcells, etc. Federal Signal’s Litestak is an economical device for increasing productivity in any manufacturing environment.